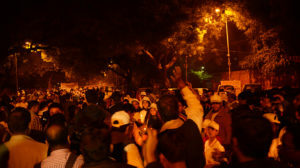 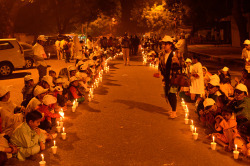 Over a thousand children, activists, youth, and citizens joined in for a candle light vigil organized by Bachpan Bachao Andolan in Delhi on 22 November. 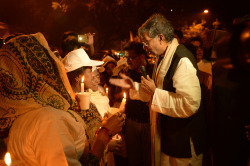 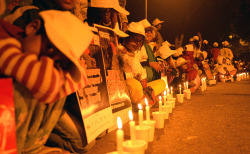 The vigil led by Nobel Peace Prize Laureate Kailash Satyarthi demanded end of child slavery. 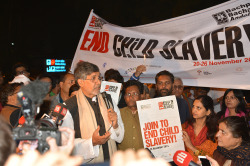 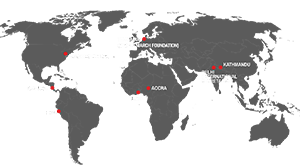 This week (20-26 November) is being observed as End Child Slavery Week with similar action happening in several countries across the world adding to the chorus for inclusion of abolition of child slavery in post-2015 development agenda / sustainable development goals (SDGs).